"Pairing" is an ABA (Applied Behavioural Analysis) term for building trust and a relationship with another person. It is a fundamental prerequisite for teaching. Fortunately, most individuals want to build relationships with others. It is part of our basic makeup as social beings. In a school setting, it looks like eager, excited students arriving in the classroom each day, ready to interact with others, able to sit and listen to the teacher, willing to learn and complete work for the satisfaction that it brings to themselves and others. These students find building relationships motivating and rewarding. Their "Buckets" are already usually pretty full. They can keep them full by filling their own and others' buckets. However, there are more and more students who, through no fault of their own, arrive at school either without the motivation or the skills (or neither one) to build and maintain relationships. These students either have "holes" in their buckets or are without the means to fill their own buckets. These students need our help! There is a saying, "The empty bucket makes the most noise!" How true this often is. If the student has autism or another neuro-developmental disability, we may need to build relationships with them through external reinforcement. This means identifying items and activities that they enjoy and then being the person to provide these with no strings attached at first. This is called noncontingent positive reinforcement. Once the student identifies you as "the giver of all good things", you have taken the first steps towards establishing a relationship and building goodwill. Only then, can you start asking the student to complete tasks or activities that are easy for him or that he already knows how to do. Learning new skills and completing difficult tasks require a solid relationship where the student trusts that if they finish work, they will be rewarded with an activity that they enjoy, or in other words, is reinforcing. When we build this trusting relationship, interactions with us become reinforcing as well. The best way to do this is by routinely finding out what the student likes, providing these activities and items on a consistent basis and slowly increasing the difficulty of the requests made of her. They may also need positive reinforcement more frequently than others. Learn Alberta lists Positive Relationships as the number 1 way to support effective, positive classroom management. Every student has a "bank" of relationships, with an "account" for every teacher the student interacts with. The balance in your relational account with a student represents the amount of goodwill that the student has toward you—or, put differently, the extent to which the student will inconvenience him- or herself to cooperate with you. When you ask a student to do something he or she would not naturally do (for example, asking a hesitant student to offer an answer, or asking a student who is inspired to sing in the middle of your lesson to work quietly), you are making a withdrawal from the relational account, because you are asking the student to do something that the student would prefer not to do. If your relational account balance is high, the student will cooperate willingly. If your relational account balance is low, the student may cooperate—reluctantly. If your relational account balance is insufficient, your request will be denied." The article goes on to describe relational deposits and withdrawals and how to avoid overdraft. This is such a straightforward way to think about interacting positively with your students. Relationship deposits are made when you: are nice to a student, give praise for accomplishments and effort, say thank you, ask for and try out student suggestions and ideas and take an interest in their lives and interests outside of school. When you have a high relationship balance (lots of good will) with a student, they will try difficult tasks, cooperate with you and associate even challenging activities with a feeling of trust and respect. This strengthens intrinsic (internal) motivation. Acknowledging their efforts builds upon your relationship. Relationship withdrawals happen when you ask a student to behave in any way which is different than they already do, which is the definition of learning! However excessive withdrawals happen when you repeatedly ask a student to complete tasks or activities which they feel are too difficult or not meaningful or act in a way towards them which they see as being mean or disrespectful. Another way to look at this is bucket dipping. Relationship overdrafts will occur when you have made more withdrawals than deposits. When this happens a student may refuse to cooperate with a request even if it is reasonable and they are capable. If you try to force compliance the results can be unpleasant. The student may learn to follow instructions only when under pressure and require stronger and stronger consequences. They may develop negative associations with either the activity or yourself and power struggles are a definite possibility. Consider applying this model to all your relationships - professional, volunteer and family. Making relationship deposits can become a positive habit. When withdrawals do occur, having a large balance results in more cooperative relationships, a willingness to support one another, less stress and increased respect and enjoyment. What a great way to keep everyone's bucket full! What Does It Mean to Say "Yes I Can"? The CEC "Yes I Can" awards are a yearly event where students of any age with a disability are nominated and celebrated for their determination, hard work and achievements. 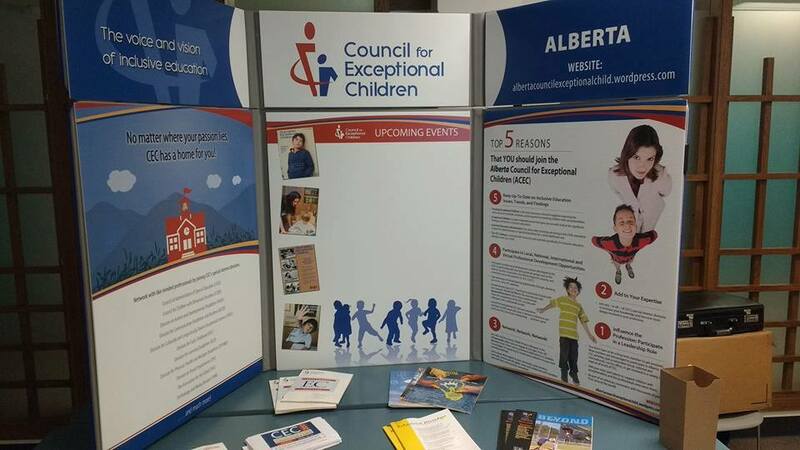 Alberta CEC continues to provide important information to educators across the province. In March Dwaine Souveny and Shawn Crawford will be facilitating a session on Supporting Positive Behaviour in Alberta Schools to students and educators at Mount Royal University. Don't Miss These Upcoming Workshops from Alberta CEC Executive Members! Kathy Howery (ACEC Secretary) from the University of Alberta's Department of Education Psychology will be presenting at the upcoming ATA Council for Inclusive Education Conference "Waves of Inclusion; An Ocean of Opportunity" help in Kananaskis on October 13 - 15th. Kathy will be presenting AAC in the classroom: Supporting Students with Complex Communication Needs. Kathy has been a member of the Council for Exceptional Children since 2002. Kathy has presented at regional, national and international conferences on inclusive education. Dwaine Souveny (ACEC Treasurer) is a certified professional coach and registered psychologist from Red Deer. He will be hosted by the Saskatchewan Council for Exceptional Children in Saskatoon on October 17th. 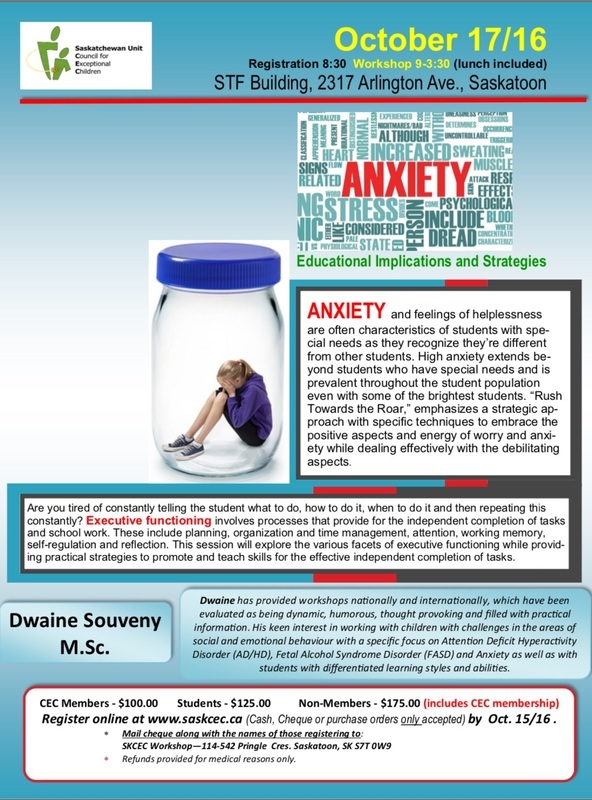 His workshop on the "Educational Implications and Strategies for Anxiety and Executive Functioning" will provide insight and techniques for working with students with these challenges. Dwaine has been a member of CEC since 2007 and is a dynamic speaker whose workshops are filled with practical information. Canadian Committee - As of January 1, 2017, the International CEC will have a Canadian Committee, comprised of the leaders from CEC’s provincial units. This is a transformational change from the existing Canada/US Committee. The purpose of the committee will be to advise the Board of Directors on ways to meet the needs of Canadian members relative to membership, professional development, publications, products and services. In addition, the Canadian Committee will provide a forum for Canadian units to discuss and address shared concerns specific to provincial/ territorial and federal education systems, legislation, and teacher preparation. Alberta Teachers' Association Council for Inclusive Education Conference in Kananaskis - The ACEC will have a notable presence the ATA Council for Inclusive Education Conference "Waves of Inclusion; An Ocean of Opportunity," held in Kananaskis this year on October 13-15. Our own ACEC secretary, Kathy Howery, will be presenting two sessions: AAC in the classroom: Supporting Students with Complex Communication Needs, and Literacy for Students with Significant Disabilities. Our ACEC executives will also be sharing apps at the Art and App Reception, and will also be providing several prizes to delegates throughout the conference. Please come visit us at our display in the exhibitors area. For more information about the conference, please visit https://cieducation.ca/initiative/celebrating-the-challenges-2016. U of C Speaker -On November 14, 15, 2016, Integrated Services in Education at the University of Calgary, in partnership with ACEC, will be hosting a speaker who share his extensive knowledge on Behavioural RTI and implementation in schools. More information will be available soon at http://werklund.ucalgary.ca/ise/. What Does Inclusion and Differentiation Mean in a Classroom? By its very nature public school systems are inclusionary of diversity within academic, intellectual, social, behavioral and cultural domains. Yet, when inclusion as a practice is examined it is typically through a narrow lens – one focused on students with exceptional needs and how to differentiate instructional material in order to include these students with their same grade peers. The understanding of what it means to be involved as an educator on a pragmatic level is often overlooked. The term inclusion specifically refers to the process and practice educating “students identified as having exceptional needs” (SEN) in general classrooms in their neighborhood school. Inclusive education has developed from the belief that education is a basic human right and that it provides the foundation for a more just and accepting society. In taking a human rights approach or human justice perspective, it is critical to foster equity for diverse learners. The United Nations created a universal framework to assist school divisions and educators to develop best practice for all learners, including all SEN (UNESCO, 1994; 2001; 2003). The foundational belief for differentiation is that all students learn in a variety of ways and have differing learning profiles. Central to the idea of differentiation are three of UNESCO’s (1994) statements: (1) developing a school ethos of trustworthiness and human reciprocity, based on the human rights of all, teachers and learners; (2) setting high expectations for the behavior and work of all members of the school community; and (3) accepting the goal of the development of the full intellectual, emotional, physical, spiritual and moral potential of all learners. Hence, to embrace the idea of inclusion and diversity is to understand that all students are different and all must be supported. Inclusion in the classroom requires an educator to consider the entire student body and individual students simultaneously to plan for their learning needs and to address the curriculum (Hutchinson, 2007; Mitchell, 2005). An educator’s first priority is to ensure a coherent and thoughtful curriculum that incorporates the developmental and cognitive level of the student body. The long-term planning and unit development must be based on the curriculum standards set out by the educational ministry, incorporating what important elements are necessary for the students. Thus, an educator plans “for all” as the foundation. The planning “for some” or “for one”, which is a critical component of inclusion or a supportive educational environment, occurs when breaking down the “for all” long-term planning information. This second phase of curriculum planning is guided by the considerations for increasing the learning opportunities for the diverse learners. For example, an educator may take into consideration: For (student’s name) to learn, practice or demonstrate knowledge—what must be added, enhanced, scaffolded, or altered? It should be appreciated that every student ought to have academic instruction that is focused on the knowledge, understanding, and skill development targeted for the long term curricular, unit or individual lesson. The adaptations and accommodations put into place for some students is intended to support their instruction in a general class, not to create a separate instructional goal. Accommodation: Specialized support and services that are provided to enable students with diverse needs to achieve learning expectations. This may include technological equipment, support staff, and informal supports. Adaptation: Adjustments to curriculum content, instructional practices, materials or technology, assessment strategies, and the learning environment made in accordance to the strengths, needs and interests of the learner. Modification: Changes in policy that will support students with exceptionalities in their learning (e.g., altering school attendance policy or curriculum). There are three overarching philosophical component necessary for all students in a classroom, but in particular for those who are the most vulnerable, namely the SEN population. First, students who require curricular, content, or instructional, or resource adaptations should be considered in the planning stages rather than reacting to their differences once they have demonstrated that they are not able to learn with their peers. From a human rights perspective, this is a means in which the student can retain one’s dignity while engaging. From a teaching perspective, including this differentiation will benefit all students. Second, learning about the individual’s special needs etiology will benefit in the planning of the instruction, goals, and materials to be selected. 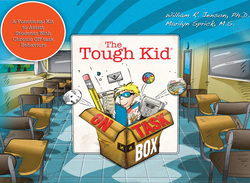 This background information includes the unique learning profile consisting of developmental, intellectual, and socio/emotional data relevant to supporting their learning needs. From a human rights perspective this means that each student’s unique experiences will be taken into account and appreciated. Third, ensuring that all students feel welcomed in the classroom and that any type of negative interactions, or willful absence of interactions between peers are not tolerated. For educators this translates to teaching all students to treat each other with respect and dignity. This also requires action plans to be put into place to ensure that all students understand that teasing and insulting behavior will not be tolerated. In sum, these three philosophical positions simply denote that educators should plan for each student, know each student, and protect each student. Addressing the needs of all students through a differentiation approach consists of multiple pathways to teach, use materials or resources, and provision of alternate evaluation methods. Identifying and building upon all students’ individual strengths, talents, skills, and prior knowledge allows teachers to engage students in appropriately challenging classroom activities. The goal of differentiation is to create learning environments, content, process, and products that enable all students to succeed with meaningful curriculum. Differentiating incorporates implementing many instructional routines and strategies that are not only beneficial to most students but also enables successful inclusion of all students, including SEN (refer to Figure 2). Inclusion is differentiation; requiring teachers, parents, administrators and support personnel to develop creative, effective programming for all students. The long-term effect of this enabling environment will allow the school and larger community to embrace every student as having unique strengths and needs; exemplifying that diversity is valued. Plan long-term units/concepts for each subject: Consider the learning environment, content, process and knowledge products in planning. For all: What is the learning goal? How will this learning be accomplished (instructional strategies, materials, resources)? How will this learning be demonstrated? For some: What adaptations and accommodations can be put in place to support learning? What must be added, enhanced, scaffolded or altered to support students in their learning progress? Hutchinson, N. (2007). Inclusion of exceptional learners in Canadian schools. Toronto, Ontario, Canada: Pearson. Mitchell , J. (2005). Contextualizing inclusive education: Evaluating old and new international paradigms. London, UK: Routledge Farmer. Mittler, P. (2005). Building bridges between special and mainstream services. Asian Pacific Disability Rehabilitation Journal, 16(1), 3-15. Tomlinson, C. A. (2001). How to differentiate instruction in mixed-ability classrooms (2nd ed.). Alexandria, VA: Association for Supervision and Curriculum Development. Tomlinson, C. A. (2004). The mobius effect: Addressing learner variance in schools. Journal of Learning Disabilities. 37(6), 516-524. United Nations Educational, Scientific and Cultural Organization: UNESCO. (1994). Special needs education and community-based programmes. Paris: UNESCO. United Nations Educational, Scientific and Cultural Organization: UNESCO. (2001). World education forum: Education for all. Inclusion in education: The Participation of disabled learners. Paris, France: UNESCO. United Nations Educational, Scientific and Cultural Organization: UNESCO. (2003). Open file on inclusive education. Paris, France: UNESCO. Dr. Noella Piquette is an Associate Professor and Registered Psychologist at the University of Lethbridge. The focus of her work within the Faculty of Education focuses on the knowledge, skills and behaviors that are required of teachers in order to effectively respond to students with diverse and exceptional needs. 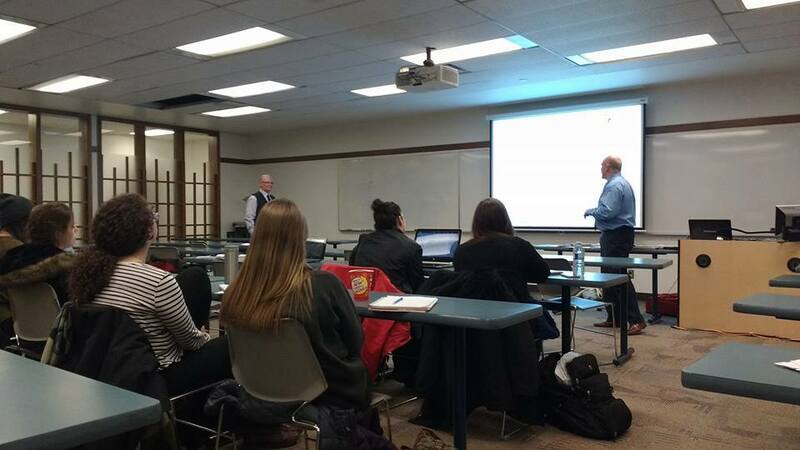 Differentiated instruction, development of professional learning communities, student assessment and individual program planning (IPP) are some of applied research interests. Her previous background as an educator included the roles of guidance counselling, special education, and adapting instruction to meet the needs of diverse learners in inclusive classrooms.